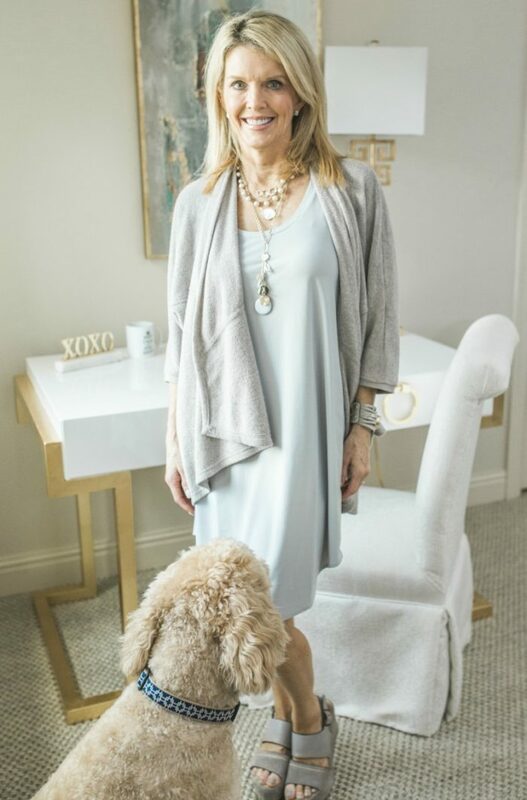 Here are a few savvy tips on stacking (layering) necklaces for a chic yet classic look that is easy to achieve without spending a fortune. 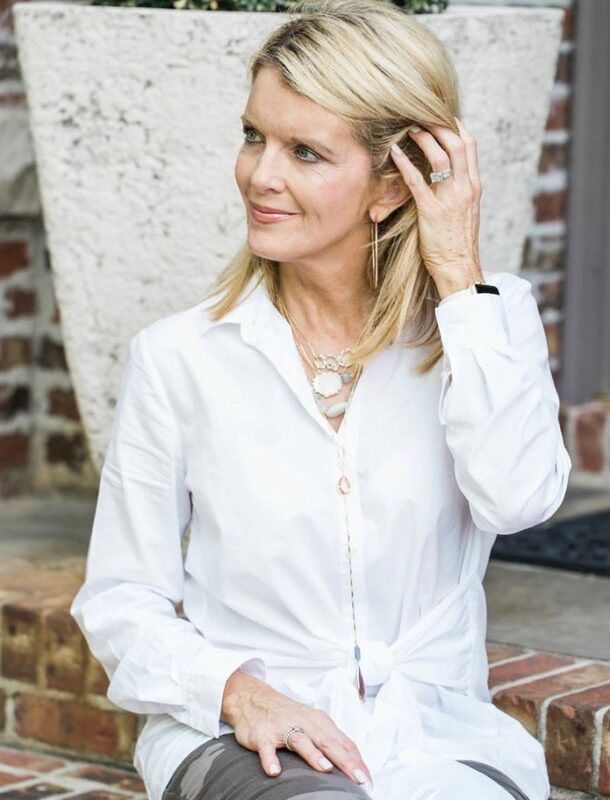 With the advent of white, light, minimalist summer attire, I decided to share a few savvy tips on stacking (layering) necklaces. Although layered necklaces look great any time of year, I think that warm weather apparel lends itself best to this type of accessorizing. Stacking styles can vary. 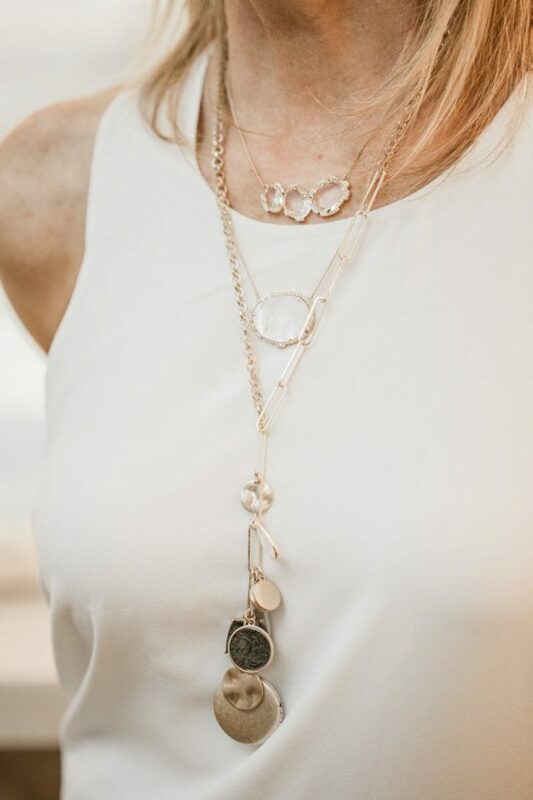 Deb has collected necklaces for years, and many of hers are unique and nowhere to be “shopped.” My stacking look (pictured below) is simpler to shop and easier to put together quickly. 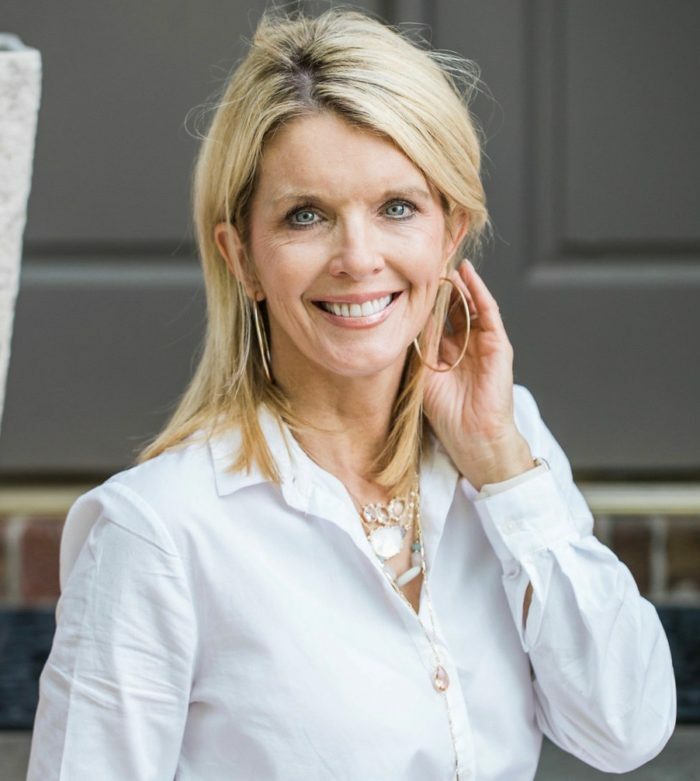 Here are a few layering looks that I love followed by some tips for shopping necklaces for your own stacking wardrobe. The Rule of 3. Start with a choker, a medium and a long necklace and build from there. Adjustability. Look for necklaces with extender chains and adjustable clasps. The Lariat, the Knot & the Y. These cinch and drop styles go great with buttoned blouses. Think Neutral. White, clear, gold and pearl keep the layered look classic and refined. A pop of color. A small colored stone, metal or charm can add interest. Assorted chains. Mixing chain types (serpentine, beaded, link) adds interest. Minimalist earrings. Simple hoops or studs are the best earrings to wear with layered necklaces. Where to buy: One of my favorite places to buy layering necklaces is Anthropologie. They have gorgeous and unique pieces, and the prices are surprisingly reasonable. Most of the necklaces in my photos came from Anthro; I link to them below, along with my earrings and dresses (similar). I hope these tips help you put together a layered look that you love. Do you already have some fab fave necklaces that you layer? If you are willing to share, please do so in the comments! As always, thanks so much for stopping by. Wishing you a joyful, blessed, and savvy day! Chico’s also has great jewelry; most necklaces have co-ordinating pieces, longer and shorter, plus earrings. Frequent sales are a plus, too!